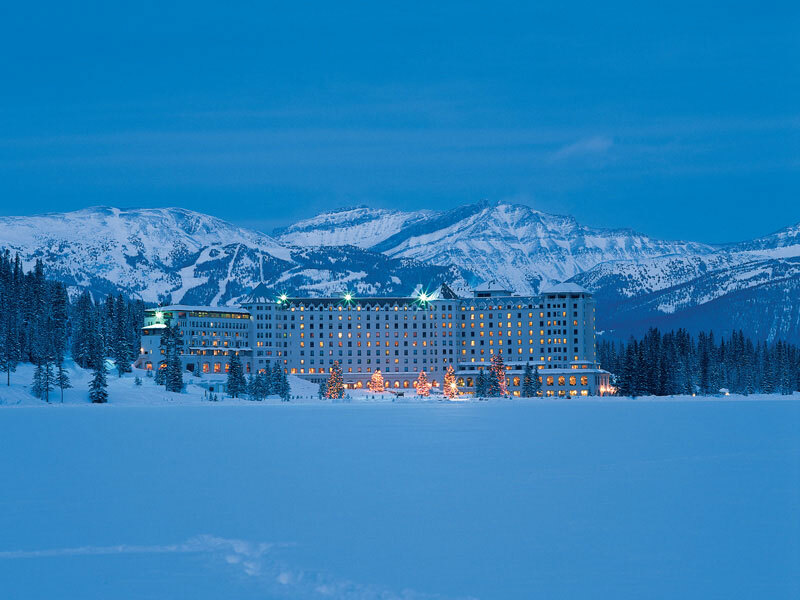 Start your trip in urban Edmonton and travel to the majestic winter resorts Lake Louise, Jasper, and Banff. 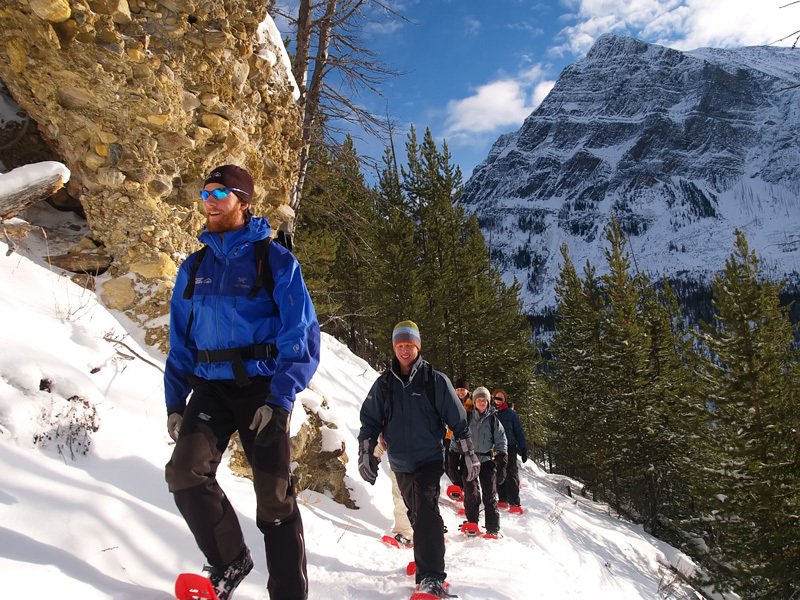 Try snowshoeing to Paint Pots, traverse the spectacular Iceﬁelds Parkway, and join a wildlife watching Maligne Canyon ice walk tour in Jasper. 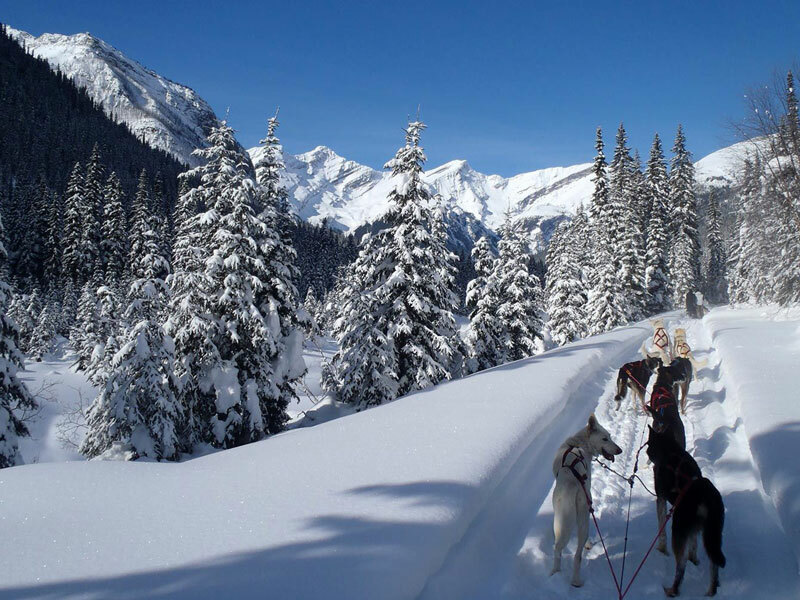 Conclude with a memorable sleigh ride along the shores of Lake Louise. Day 1 Arrive Edmonton Upon arrival at the Edmonton International Airport, transfer independently to your hotel, the balance of the day is at leisure. Day 2 Edmonton day at Leisure Experience one of Canada’s most popular urban regions and the Capital City of Alberta. A four season destination, Edmonton has a variety of attractions and natural areas to explore year round. If you feel the need for shopping, experience West Edmonton Mall. This Edmonton icon houses 800 stores and services, 110 eating establishments, nine themed attractions, spas, a dinner theatre, fantastic nightclubs and a full-scale casino – all under one roof. Day 3 Edmonton to Jasper Leaving Edmonton this afternoon and traveling east, you will notice the dramatic change in landscape as you leave the open prairie and head onto the Rockies to the mountain village of Jasper. Day 4 Jasper Today is free to explore Jasper. 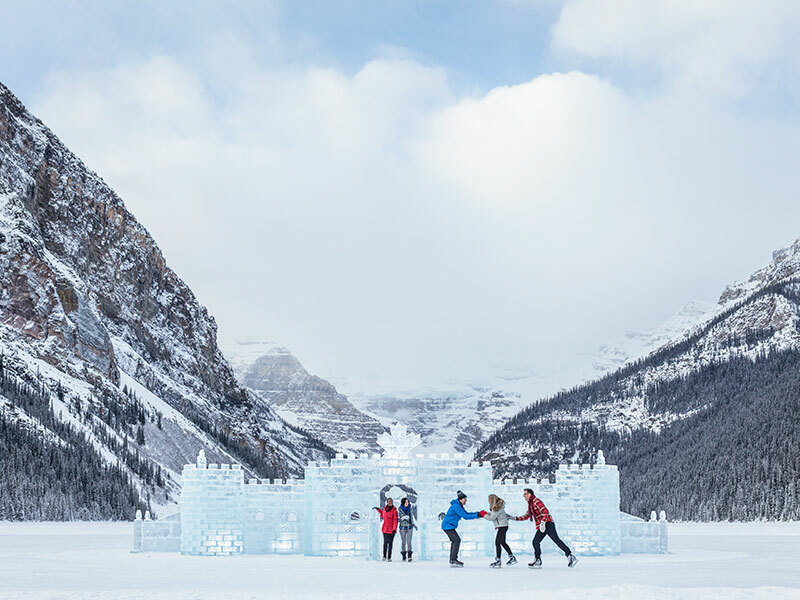 Day 7 Lake Louise Today is free for you to enjoy the many winter activities surrounding Lake Louise. Day 8 Lake Louise to Banff Depart Lake Louise mid-morning for a short drive to Banff via the scenic Bow Valley, arriving midday. 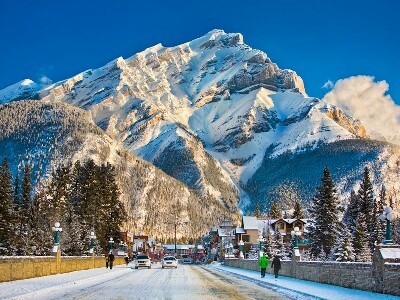 This afternoon is free to enjoy the sights of Banff. Day 9 Afternoon Snowshoeing to Paint Pots Tour In the afternoon, snowshoe on an easy trail winding through a forest of pine trees to the Paint Pots, a cultural treasure within the National Park. Along the way you will hear stories of Banff’s indigenous people, explorers and fur traders who lived in and traveled through the Rockies. After this crisp winter walk, enjoy a uniquely Canadian treat: hot maple taffy poured into snow to make a sweet frozen dessert. 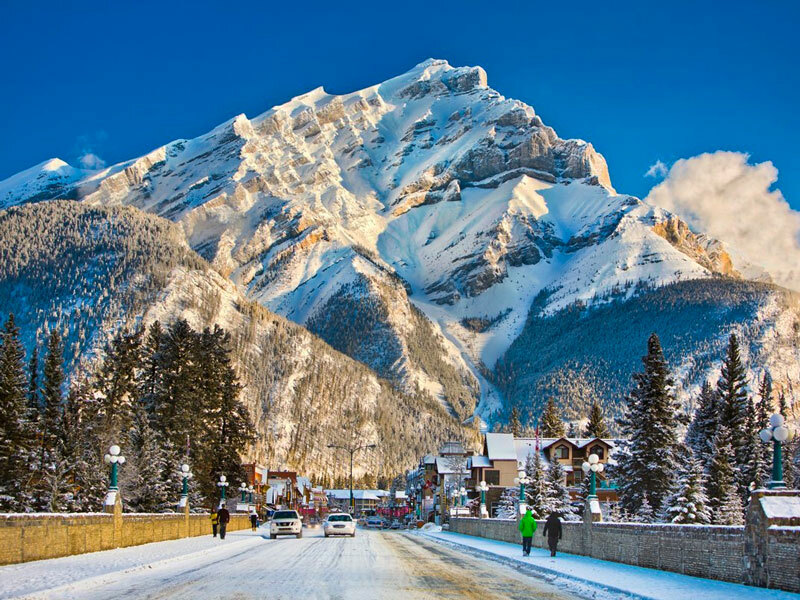 Day 10 Banff to Calgary This morning is free to explore Banff, before your scheduled coach to Calgary departs midday. Following the Trans-Canada Highway, depart the Rocky Mountains to the Great Central Plains that roll to the east for 2000 kilometres and extend as far south as Mexico. This is ‘cattle ranching country’ and Canada’s breadbasket. Arrive Calgary airport at 2:30pm or downtown Calgary at 3:00pm. Sandman Hotel Edmonton West is conveniently situated near major attractions, such as West Edmonton Mall and West Edmonton business district, and offers easy access to all major highways.